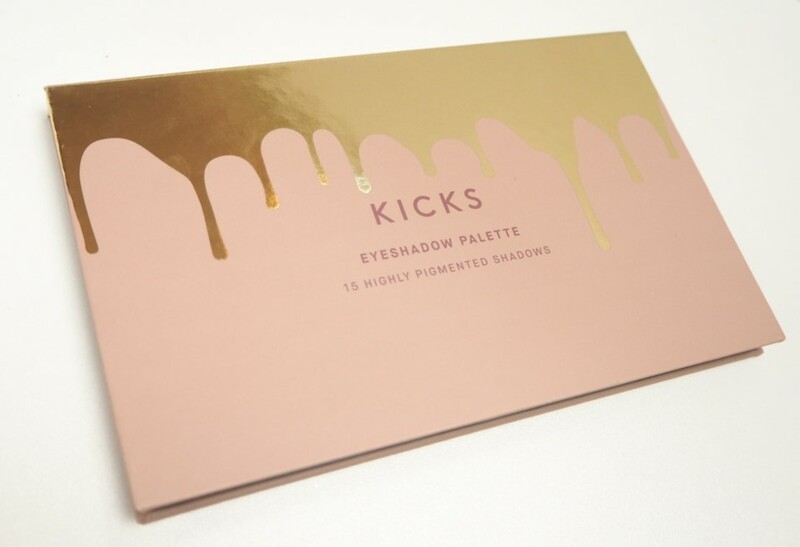 I have a new obsession and it’s an eyeshadow palette. 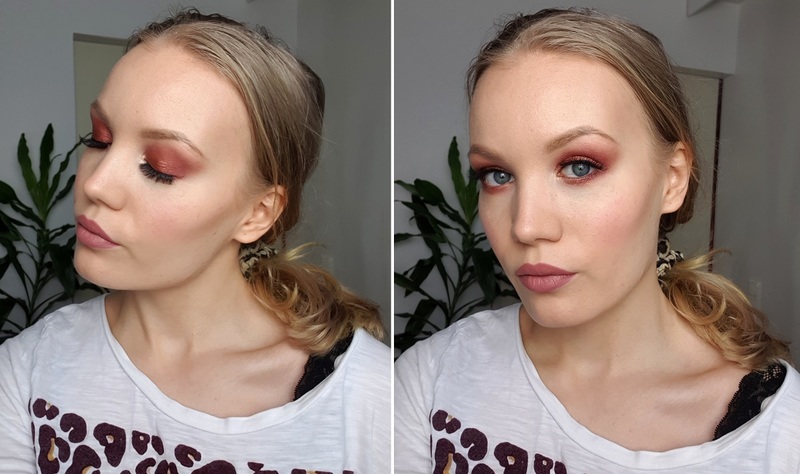 The palette is from KICKS and this look made with the palette has been my go-to lately. I love how these colors make my blue eyes pop. There’s a mini review on the palette at the end of this post, but for now, let’s get to the step by step photos. For this look you don’t need that many brushes. For the main colors I just used my fingers. But what you do need is some patience with the blending. First I applied a reddish shade as a base for my look. I blended it well. As it’s not a color close to my skin tone, it needs more blending than a more neutral color. I also applied it to my lower lashline and made it nice and smoky. Sometimes I start with a more neutral color before going in with the red, but I wanted to show you how it can work even without a transition color. Then I just used my fingers! I applied the cranberry shade all over the lid. Then I took the gold color and focused it on the center of my lid. I applied the gold color also to my lower lashline, right in the center. Once I had the gold on I noticed that my lower lashline needed some deepening in the outer corner. So I applied some more of that first reddish color in the outer corner. 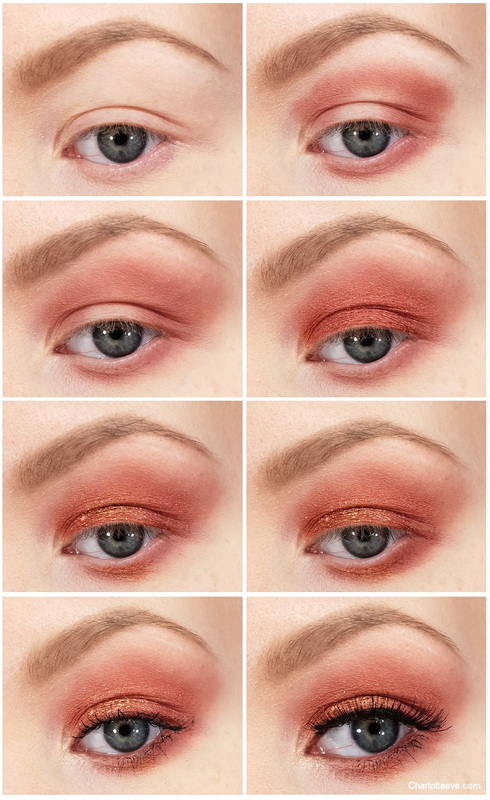 Eyeshadow is a process – it’s okay to go back in and fix things. Then I applied an inner corner highlight, lined my eyes and added mascara and lashes. I actually tried a red liner for the first time and applied it on my waterline as well. I feel like that really brought the look together. 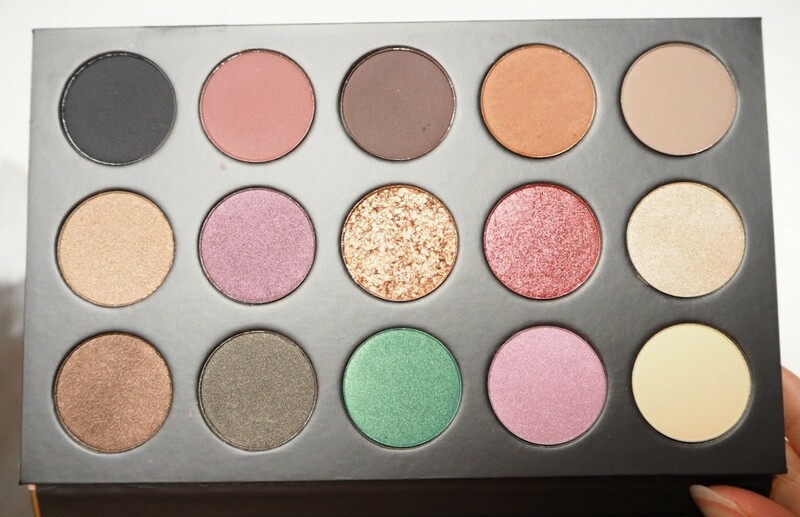 This limited edition palette has all the colors you need for an everyday look, but it also has these gorgeous pops of colors, which are actually wearable. 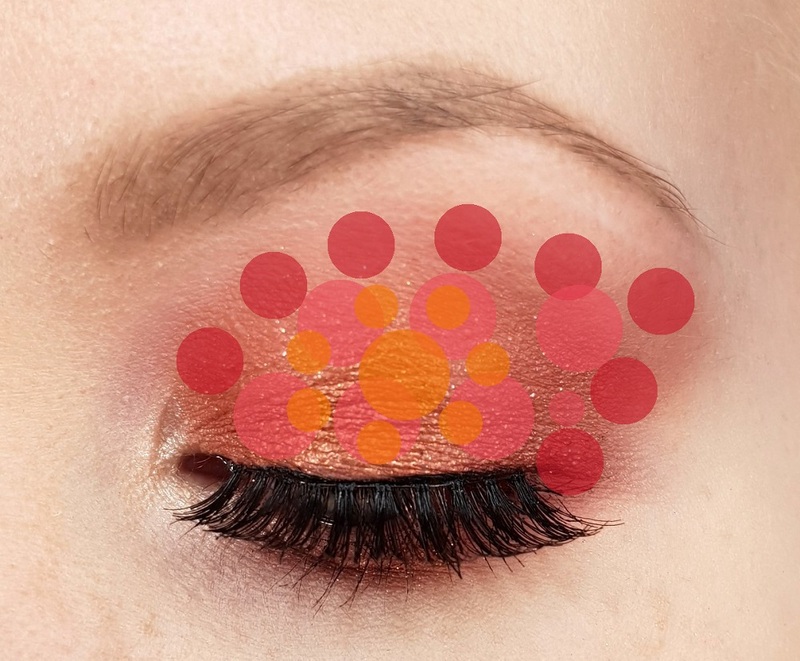 The stars of the palette are definitely the colors I used here: a cranberry red color, which also has some gold in it and a pressed gold glitter color. Both of these colors are very unique and the texture in them is also something I haven’t seen that much. They are both quite metallic and they go on smoothly when applied with a finger. The gold color has more texture to it though, and if you pick it up with a brush, you can see the single glitters in it. Honestly it’s hard to describe, but that color has my heart. And the cranberry shade as well. I told you it was an obsession. And since we’re talking about obsessions, I’m still loving that Lily Lolo base! It just looks beautiful and it lasts well on my skin. I wrote about Lily Lolo on my latest post here. If you want to see how exactly I use it, I did a video on my Instagram stories on it – as well as some other makeup videos. People are sometimes asking me for makeup videos, so there they are. What do you think of this eye look?